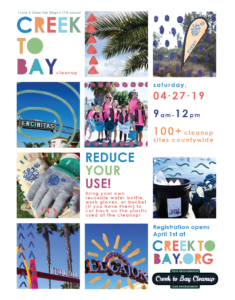 At the last countywide Creek to Bay Cleanup, I Love A Clean San Diego had over 6,400 volunteers collect over 145,000 lbs of trash and debris at 116 sites! Join the Friends of Rose Creek and I Love A Clean San Diego as we search Rose Creek and environs for trash to take to the dump. Meet at Mission Bay High School, located at 2475 Grand Avenue, San Diego, CA 92109. Wear closed toe shoes, long pants and long sleeves. A hat is a great idea. We are also working on Castor Bean removal and need a team of those 18 and over who can work on this. 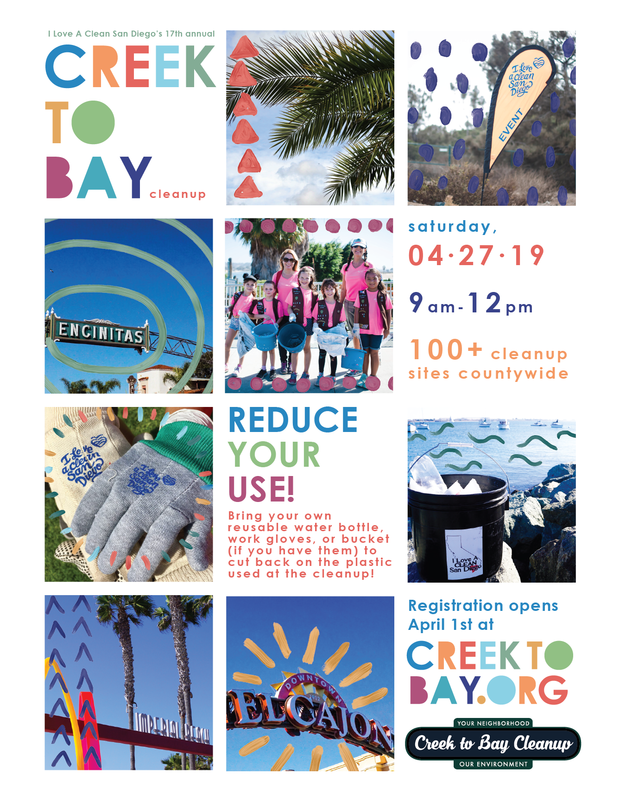 State of California Assemblymember Todd Gloria and City of San Diego Council Representative Dr. Jennifer Campbell will be joining us to cleanup Rose Creek. All participants under 18 will need to have a parent or guardian sign a waiver. 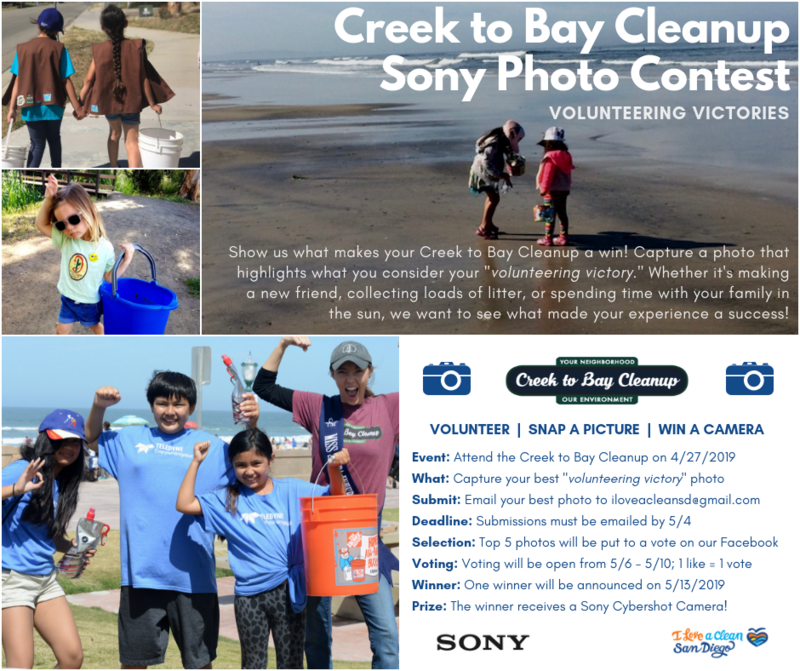 Or just come down to Mission Bay High School about 8:45 AM on Saturday, April 27 with your parent or guardian. We’ll be in the Faculty Parking Lot on the east side of campus overlooking Rose Creek and you can sign up on the spot! Plenty of overflow parking is available in the Student Lot on the west side of campus at the corner of Lee Street and Grand Avenue in Pacific Beach or park on Grand Avenue (no parking restrictions on Saturdays). We’ll have snacks, prizes, and everyone who shows up can participate in the Bling Your Bucket (see below) contest. Decorate those buckets, wheel barrows and wagons before you come. Reusable is the message we are trying to promote. 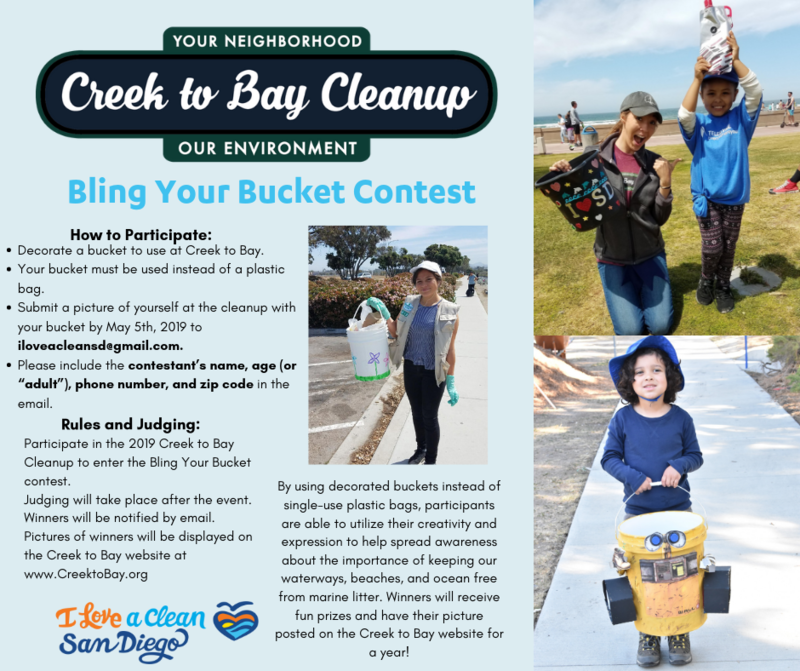 Participate in the Bling Your Bucket contest to minimize the use of trash bags. We’re here to get rid of trash – not create more of it. More information to be added as we get closer to the event. At 11:45 a.m., we will have ice cream provide by Campland-on-the-Bay and a raffle with some earth cooling prizes. If you can, bring work gloves, buckets and wagons to move the trash from where you find it to the dumpster. Hauling distances vary but can be up to 3/4 of a mile. Bring your reusable water bottles to fill up. Snacks and drinking water will be provided. Wear long pants and sturdy shoes. If you need community service hours, this event is worth 3 hours if you stay for the entire time. Ask at the registration desk. Scout troops that volunteer for Creek to Bay are eligible to receive free commemorative event patches. An online order form will go live the day of the event and remain posted for two weeks after Creek to Bay. ILACSD will notify you once your patches are mailed out, or when they are available for pick up at the ILACSD offices. 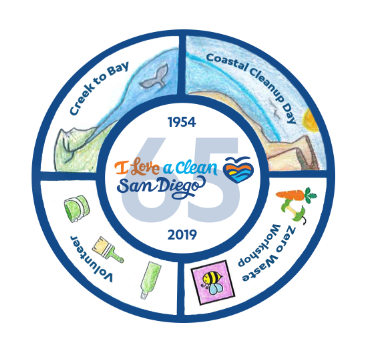 Click here for more information on I Love A Clean San Diego – they make this event possible!